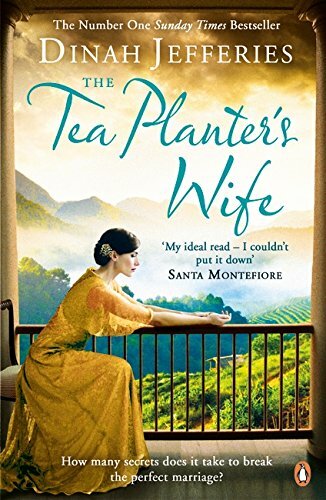 I've just finished a novel called 'The Tea Planter's Wife', which is a number one Sunday Times bestselling drama set in a tea plantation in Sri Lanka. I was drawn to it to see if I would learn anything about tea growing while enjoying a nice story! Gwen soon falls pregnant and her husband is overjoyed, but she has little time to celebrate. In the delivery room the new mother is faced with a terrible choice, one she knows no one in her upper class set will understand - least of all Laurence. Forced to bury a secret at the heart of her marriage, Gwen is more isolated than ever. When the time comes, how will her husband ever understand what she has done? The Tea Planter's Wife is a story of guilt, betrayal and untold secrets vividly and entrancingly set in colonial era Ceylon. I really enjoyed this book and have added it to my Amazon shopping widget down on the right of this page. I liked that it touched upon a tea plantation's landscape and climate, the plucking and processing methods of producing tea, as well as the treatment of the people involved in the running of this business, all the while giving us a great story.